Thanks to the vast amount of resources on the internet that are at our fingertips, dental patients are more knowledgeable than ever before about issues regarding oral health care and care providers. Engaging patients will be key for your dental practice, which you can do by sharing valuable information about your quality of care with your patients and building relationships with them. One of the biggest keys to improving your case acceptance will be with trust, expertise, and how care is delivered. 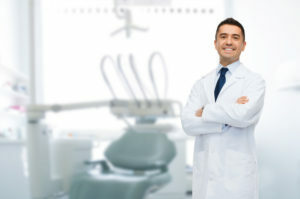 Many of these factors rely on the dental team being excellent at communicating the necessity and benefits of treatments while keeping with the practice’s desired culture. Staff will be motivated to improve case acceptance rate, which will benefit the practice. When patients are hearing their treatment options, they are in a state of emotional vulnerability, and may have financial uncertainties, and fears related to the treatment. Your dental practice’s biggest goal should be to gain the trust of patients, which will lead to an increased case acceptance and help you grow your practice. 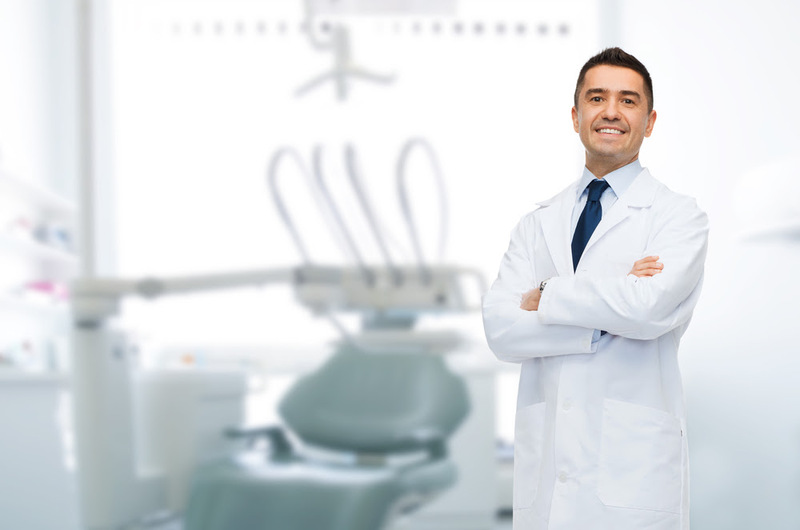 Here are eight ways to build trust and improve your dental office case acceptance. As soon as a patient steps into the office, meaningful contact should be made with him or her. This first impression will set the tone for for the expectations of care, and it will help to develop a relationship with the patient. Each patient will have different concerns, treatment history, and fears at the start. These things should be listened to carefully, and important details should be noted so the patient’s needs can be anticipated. Additionally, your dental team should take the time to learn things about the patients. This information should be used not only to help build a trusting relationship, but also to tailor treatment presentation to each individual patient. It’s important to address your patient’s immediate dental needs and concerns, but dental offices should also keep an eye on the future and promote comprehensive treatment plans. Too often, practices focus only on the current needs and neglect to offer any number of elective procedures that the patient is a potential candidate for. Focus on a lifelong dentistry that takes into account patients’ future dental goals. The fear of rejection often stops dentists from presenting a comprehensive and motivated case presentation to patients, or they assume that patients will be turned off by the costs of elective treatments. However, with a strong case, some patients will say “yes” to cosmetic and elective procedures. By presenting the ideal treatment to every patient, dental practices can see their case acceptance numbers improve. Dental practices should also strive to learn as much as they can about patients and where they are medically, financially, and emotionally. Encourage patients to talk about their needs and wants, as well as their current circumstances and how they found your practice. Not all patients will be at the same part of their dental care journey. Consider if you are seeing a patient for the first time, if it is an emergency procedure, or if the patient has been seeing you for a while. If a patient is new, your interview will be discovery-driven, and the purpose is to gather information about the individual’s health and dental goals. Pay attention to body language and other nonverbal cues, as well, and take detailed, accurate notes. Emergency patients have a need-driven approach. While the current care is immediate, after that, you can take the new patient approach with them. For existing patients, it’s about maintaining a relationship. They likely already have a comprehensive treatment plan in place, but they may need updated recommendations as time goes on. Take a new patient approach with the updated recommendations, and promote the optimum results they’ll get from the continued care. It may seem like case presentation would be the sole responsibility of the doctor. If your entire practice has worked to build a relationship and trust with patients, as they should, all members of the team should inform and encourage patients. While the dentist may present the case initially, patients will often look for validation, which hygienists, assistants, or other staff members can give. All members of the team should be enthusiastic and knowledgeable to reassure patients and confidently answer any questions that may arise so patients will feel the suggested treatment is worth their time and money. As you start presenting additional treatment options to patients, you’ll likely find similar questions being asked again and again. Your office can prepare for these questions by coming up with scripts for the most frequently asked questions. – What are my payment options? Giving patients detailed information in language that they easily understand helps reassure them. Be prepared for any other additional questions that may arise, and start to compile a list of frequently asked questions as you present more treatments to more patients. When patients ask questions or give any potential objections, it’s a good indication that they are interested in or considering the treatment. By having a scripted message to common questions, you can ensure that all patients are receiving a consistent message from all staff members that inspires confidence and assures patients that they are in capable hands. Perhaps the biggest obstacle to improving case acceptance is the financial aspect. However, you can present your fees and payment options in a way that won’t scare patients off and will make the treatments more appealing. First of all, it’s important to know that a patient’s initial concern about the cost won’t be exactly how much it is, but how it has to be paid. For many patients, optional dental care that is strictly cosmetic is a major purchase, and they know that they have options for where they receive the treatment, as well. The way you present the treatment fee and payment option could be what makes or breaks your case acceptance rate. Fortunately, fee presentation is something that has been studied and detailed by the dental industry, so there is a science to it. If fees are presented in a certain way, it can greatly improve your case acceptance rate. – Present fees in written form, and make sure it is clear and simple for patients to understand. Give patients their options in writing, which will help them understand it better and make an easier decision. Written forms also promote consistency within the practice, which is important for maintaining trust. – Present multiple options to every patient that fulfill nearly everyone’s needs to maximize case acceptance. You never know when a patient can write you a check for the lump sum, or when a patient will prefer to spread payments out over time. Consider outside financing options for patients, as well. According to a study conducted by the Academy of Dental CPAs, the availability of outside financing increased case acceptance by 282%. – Ease your patients’ worries with a “no initial payment” option. Allow them to start treatments without an initial payment, which will make them more open to additional treatment options. – Allow your patients to choose which payment option works best for them. Of course, payment in full in advance is what you’d prefer, but you will lose out on patients if that is all you accept. However, you can make that option more appealing by offering a percentage discount if the patient pays in full in advance. If a patient agrees to additional treatment, the office should schedule an appointment right away. If a patient says they need time to think about it, then have the front desk staff call them the next day to follow up. Sometimes the additional prompt is all a patient needs to schedule a treatment. Consider developing a script for the follow up call that will help improve case acceptance. A 100% case acceptance rate would be wonderful, but is unlikely. You are going to hear “no” from patients sometimes, but you can learn from those rejections. There will be future opportunities to present treatment again, and maybe you’ll have a better strategy in place at that time. Understand the reason behind a rejection so future presentations can be tailored to those obstacles. Your practice already strives for clinical excellence, but a successful practice also needs to focus on improving case acceptance. Dentists and their teams must learn how to build a trusting relationship with their patients that allows them to present treatments in a way that shows them the benefits, eases and worries or fears, and motivates them to accept. Presentation, scripting, consistency, and follow through are all keys to improving case acceptance rates for dental offices.